It has been scorching hot here this week. I guess it should be expected, it is August in Texas afterall. We adopted a new dog, a sweet chocolate lab named Beau. 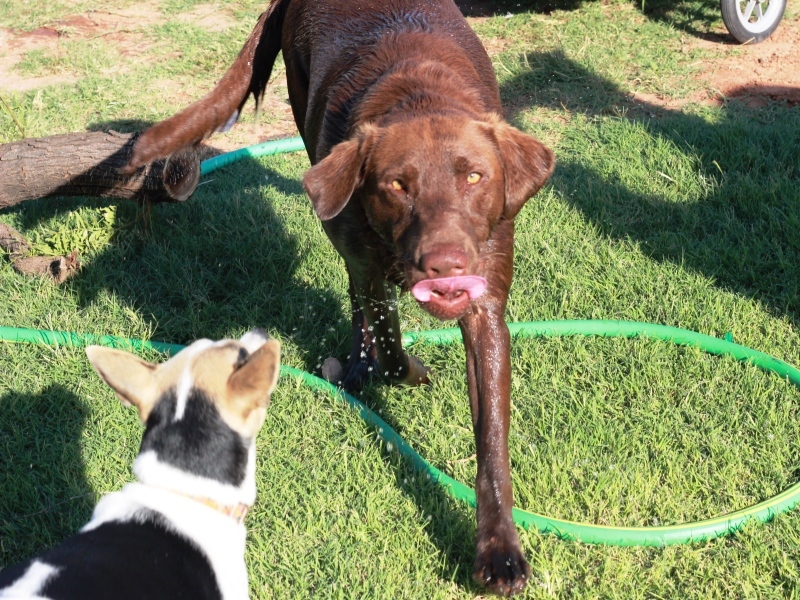 Beau loves to play outside and splash around in the baby pool with the girls. They love it too, so we have been spending the hot afternoons mostly outside. It seems like the girls have developed these really amazing natural highlights over the summer, and while my hair had lightened a little, it was still darker than I wanted. 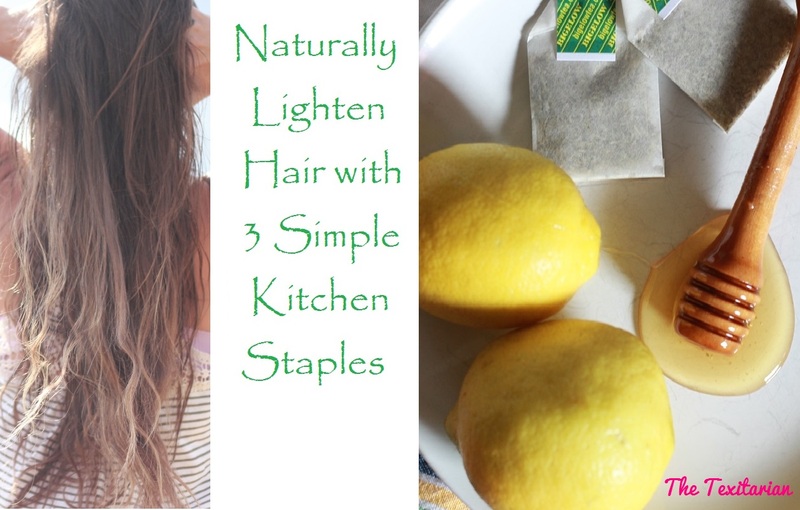 I decided to help it along by whipping up a little natural hair lightening formula. All of the ingredients are natural lighteners on their own, so mixing them together just made sense to me. I have been spraying it on for the past few days before going outside in the afternoon, and my locks are already getting that sun kissed ombre look. Place the tea bags in the water and microwave for 2 minutes. Remove from the microwave and cover. Let sit 5 more minutes to brew the tea. Add the honey and lemon juice and give it a quick stir. Pour the tea into a spray bottle. 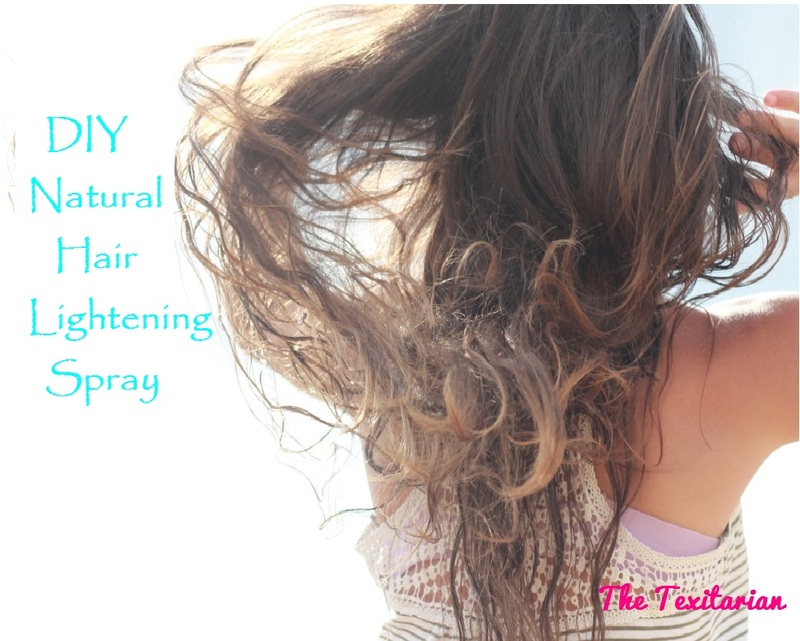 Spray liberally on hair before heading outside to enjoy the sunshine! Does this work only on natural, untreated hair or can this also make blonde dyed hair a little lighter? Hi Marina! This will work to gradually lighten both natural hair and hair that has been chemically lightened! I am definitely doing this! We are in Texas too and the massive amounts of sun will do the trick! It has been crazy sunny here lately! I need to make up a new batch too. It is the perfect time to spritz some in before heading outside and get those summer highlights going! I have dark hair and once tried sun in and it left my hair like straw..I had to chop it off :(. Do you think this will be the same? Sun In has peroxide in it which can be very damaging. This should not do that. The lemon can dry your hair out a little, but if you find it is getting dry you should be able to fix it with a little deep conditioner.